Once again the lovely Erica has allowed me to share my thoughts on the latest magazines in the teen market. You can read what I had to say about the issues here. 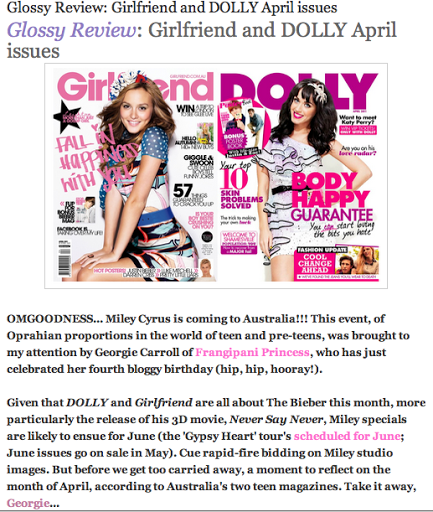 Side note, how exciting is that Miley news? !